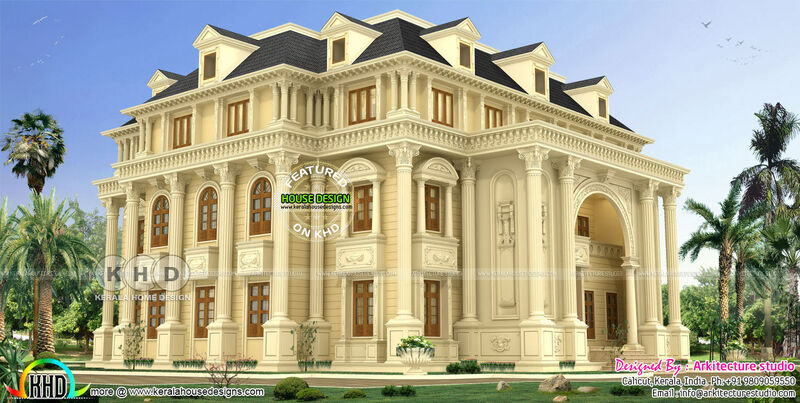 16385 Square Feet (1522 Square Meter) (1821 Square yards) 6 bedroom decorative style Colonial model luxury house. Design provided by Arkitecture studio, Calicut, Kerala. 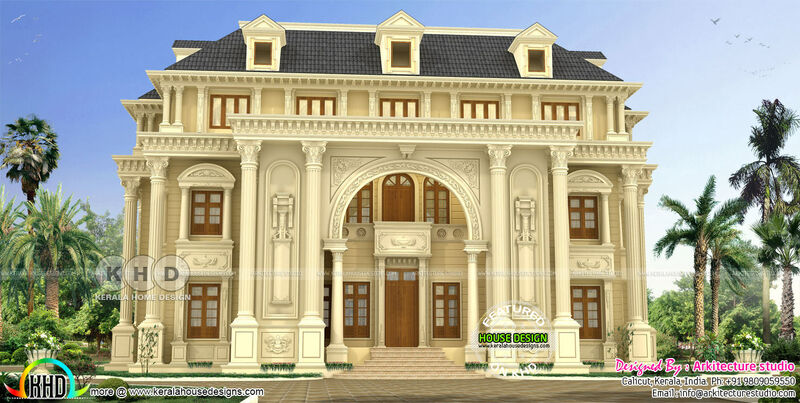 Ground floor : 5618 Sq. Ft.
First floor : 5618 Sq. Ft.
Second floor : 5149 Sq. 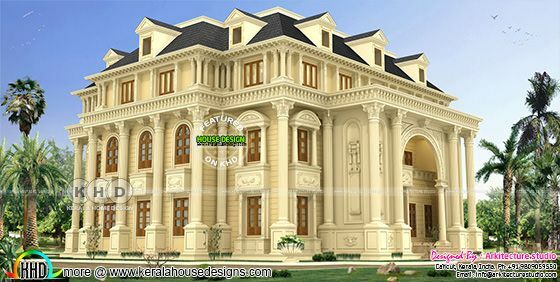 Ft.
1 comments on "Luxury decorative style 6 bedroom Colonial house"